A whirlwind of colorful style! 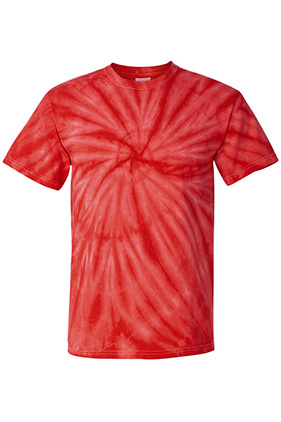 The Cyclone tie dye shirt gets its name from the dye style. The dye flows outwardly from the center - resembling the spiraling winds of a cyclone.